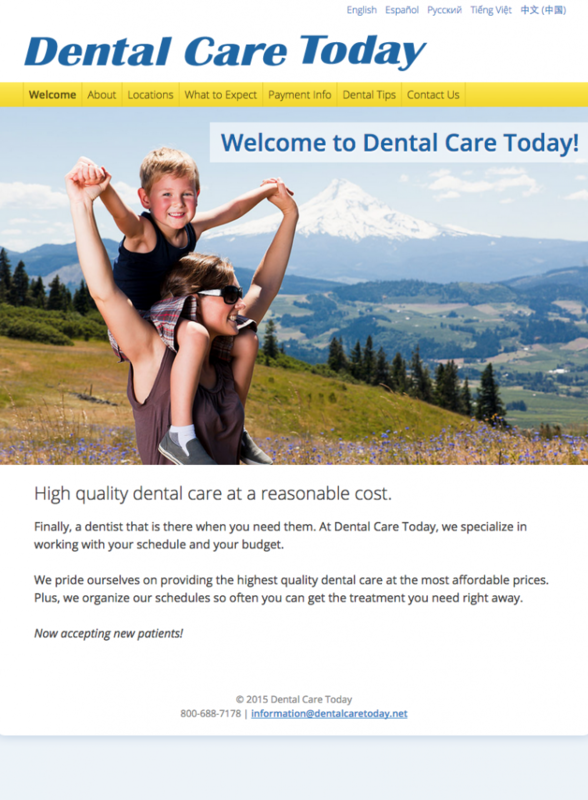 I designed and built Dental Care Today's site. It's a custom responsive WordPress theme which works nicely in mobile. It also features a language switcher!